The inspiration for my blogs often comes from the challenges I face in my day to day functions at KETIV Technologies. This blog is no different. I was faced with loading a large amount of data into Vault, and we knew that the data wasn't perfect. So I turned to the Autoloader that's provided with Autodesk Vault. Being a bit of a control freak, I tend to have a bit of a distrust of anything that contains the phrase 'Automatic'. As far as computers go, I tend to go with the 'if you want something done right, do it yourself' approach. Needless to say, I approached Autoloader with a bit of trepidation. "This is the weapon of a Jedi Knight. Not as clumsy or as random as a blaster, but an elegant weapon for a more civilized age." So I fired up Autoloader, and uploaded some AutoCAD data, and up went the data. Autoloader found some broken links that needed to be fixed, and put the data in with next to no interaction on my part. 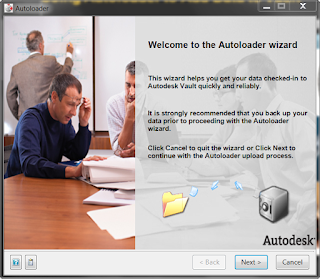 In conclusion, while Autoloader isn't the 'magic bullet' for every situation, the control freak in me had acknowledge that my concerns about Autoloader were unfounded. When you need to upload a large amount of data, this is a fantastic tool that you shouldn't hesitate to use as part of your arsenal. A pictures worth a thousand words, so here's a video on the steps to upload data. Enjoy! Mmmm...the Force is strong with this one!